Hot on the heels of 2016's Battlezone 98 Redux and this year’s Battlezone VR, Rebellion announces Battlezone Combat Commander, a remastered version of 1999's Battlezone II, due out next year on PC. That’s three Battlezone games in three years. Way to work that license, Rebellion. Battlezone II: Combat Commander is a hybrid first-person shooter / real-time strategy game developed in 1999 by Pandemic Studios and published by Activision. It’s the sequel to 1998's Battlezone, which is a fleshed-out remake of the 1980 arcade game for PC. 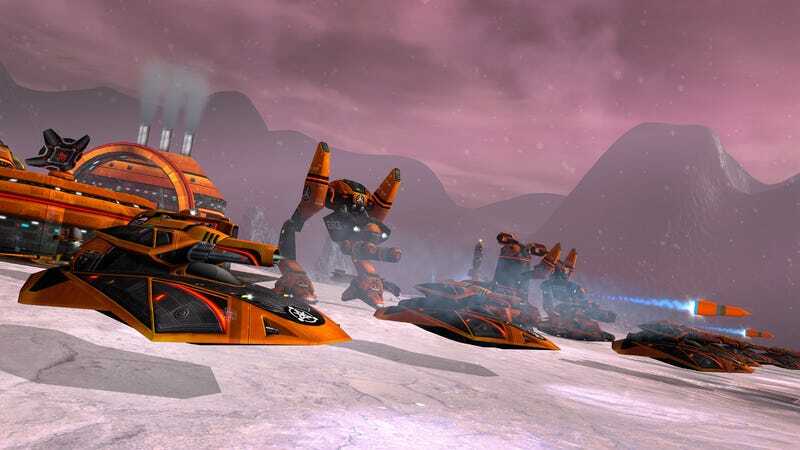 Players construct bases, build up armies and deploy defenses before heading to the front lines for first-person battles in a variety of futuristic vehicles. The remastered version of Battlezone II: Combat Commander will feature all-new visuals, cross-play multiplayer between Steam and GOG for up to 14 players and support for mods (the original being one of the first games to officially support player-created modifications). Los Angeles-based Big Boat Interactive, the studio that handled remastering Battlezone 98, is taking the reins on this one as well. Considering how well their first go was received, that’s good news. Battlezone Combat Commander is due out next year for PC. Players can sign up for a chance to participate in the game’s closed beta here.